FUTREX Inc. was chartered in 1986 as a Delaware C corporation with offices in Fairfax, VA. The founder, System 21’s lead design engineer, had left Lockheed Missiles and Space Company with rights to the technology and assigned them to the new corporation. From inception, FUTREX has endeavored to attract the best expertise available for System 21’s design, engineering and development. The contributions and participation of leading authorities and firms have been invaluable in System 21’s success to date. Following years of favorable peer review and evaluation of the System 21 concept and design, FUTREX developed a strategy of phased technology development financed by private investment in the Company’s common stock and the potential for creative Federal financial assistance. The opportunity to implement that strategy came in 1995, when the Company was recruited to Charleston, SC in conjunction with the closure of the U.S. Naval Base and Shipyard. FUTREX formed a public-private partnership with the City of Charleston to help lead defense conversion efforts by developing and commercializing System 21 at the former Shipyard. 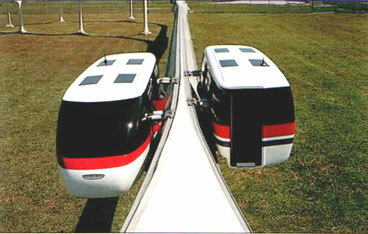 In 1996, FUTREX and its consortium of leading transportation design and engineering firms unveiled an operational, quarter-scale model/prototype that successfully demonstrated proof-of-concept for the System 21 design. This Phase II milestone was financed by a Federal loan of $1.25 million and matching funds provided by FUTREX. Based on this success, the Company began planning to finance and conduct Phase III, final engineering, development and demonstration of System 21 in full scale. From 1997 to 2008, the Company and its consortium pursued various alternatives to complete Phase III, either through construction and demonstration of a stand-alone R&D prototype, or by construction of an initial commercial installation. FUTREX worked with Charleston area officials to arrange a suitable prototype location that could then be incorporated in a regional transit installation and secured a commitment of an additional $6.2 million in Federal matching grants for System 21’s development. 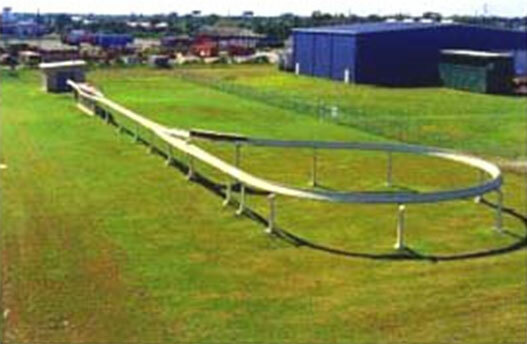 FUTREX, its consortium and joint venture partners also pursued various proposals for an initial commercial installation including airport people movers, airport access links and resort circulators. In 2000, FUTREX entered into a joint venture for securing an initial installation in Asia and licensing the System 21 technology in that vast and promising market. 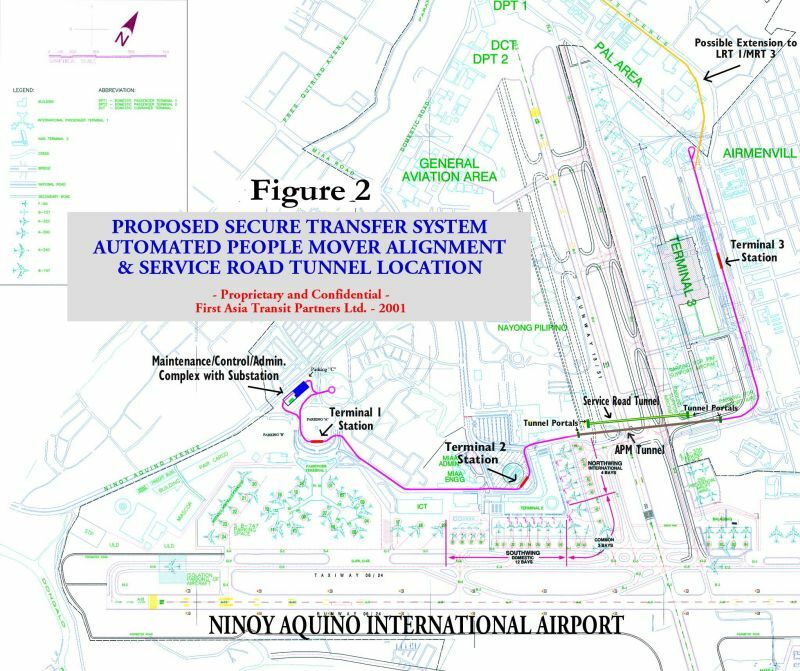 In 2002, the Manila International Airport Authority unanimously approved an unsolicited proposal to finance, engineer and construct a System 21 automated people mover to connect the Airport’s three passenger terminals. The proposal team included FUTREX, its development consortium, AIG, MARSH and a major Philippine construction firm. While the total cost of the approved infrastructure project was US$259 million, the System 21 component was only $105 million, or $35 million/mile, which included one-time, full-scale development costs. The low cost and narrow footprint of System 21 made this commercial project viable and resulted in several government approvals before all capital projects were halted because of a major lawsuit against the Airport by an unrelated foreign consortium. While planning and pursuing a Phase III installation, the Company secured major financing commitments, attracted leading firms as consortium partners, validated the competitive advantages and commercial appeal of System 21, generated worldwide market interest in System 21, and identified and evaluated several potential commercial installations. Since the global financial collapse in 2008 that halted the Company’s prospects and projects, market conditions for emerging technology have improved to the point that the Company believes that now is the opportune time to offer System 21 for sale. In addition to timing, the inherent advantages of the technology remain compelling. System 21 is poised to enter a substantial worldwide market with an innovative design that features major cost, environmental and operating advantages. In a traditional public procurement process, as is still the norm in markets like the U.S., System 21 will be the low cost competitor at US$25-$35 million/mile. Increasingly, and especially in international markets, the transit industry is moving toward public-private partnerships that involve private financing, construction and operation. As a lower-cost rail transit alternative, System 21 has the potential to make more of these projects financially viable for both cities and the private consortia which propose them.